Click on photos for a larger image Use browser "BACK button to return. 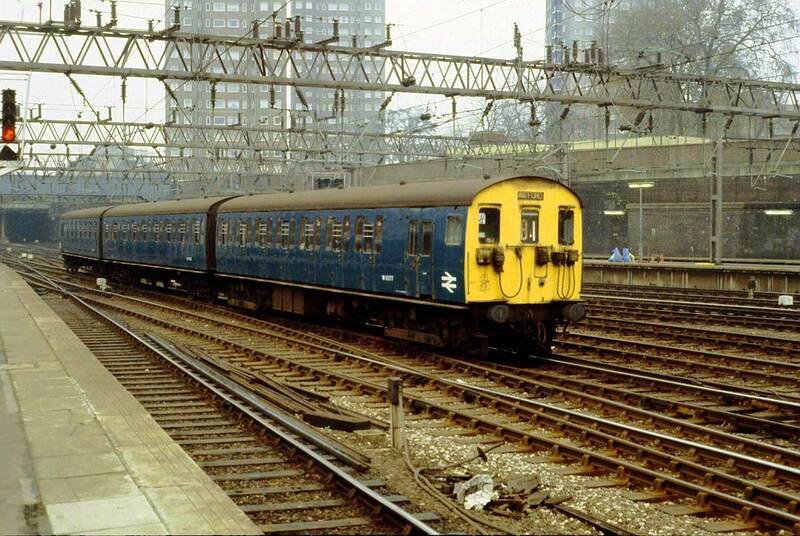 A Class 501 approaches London Euston on a service from Watford. March 1979. 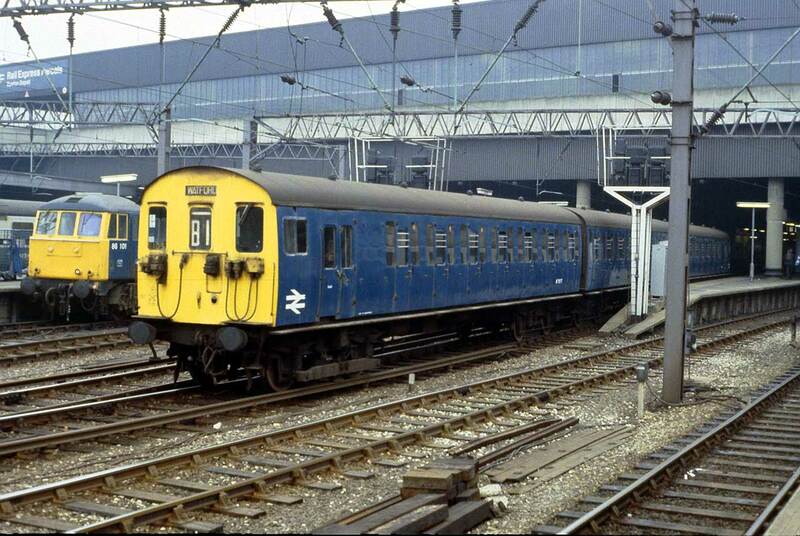 Just like Manchester Piccadilly, at London Euston both AC and DC trains could be seen operating at the same station. Here at Euston the Class 501 DC electric trains collect power from a third rail, not overhead. 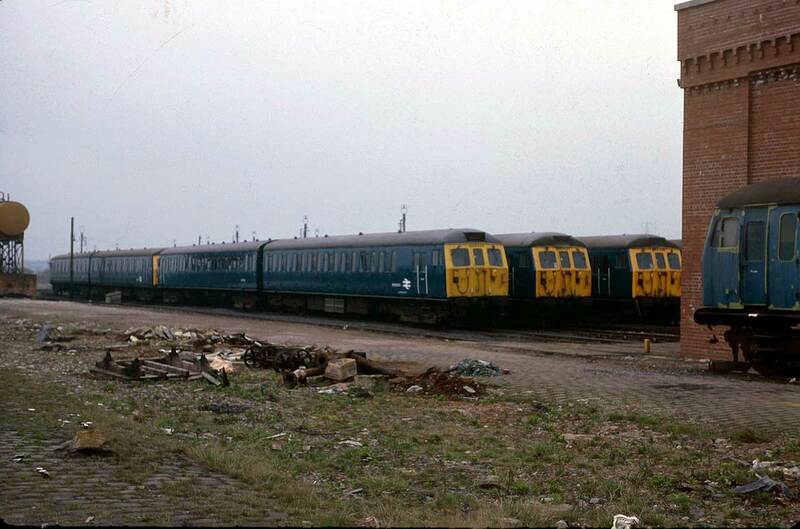 Class 86101 in the background awaits departure for a more distant destination. March 1979. 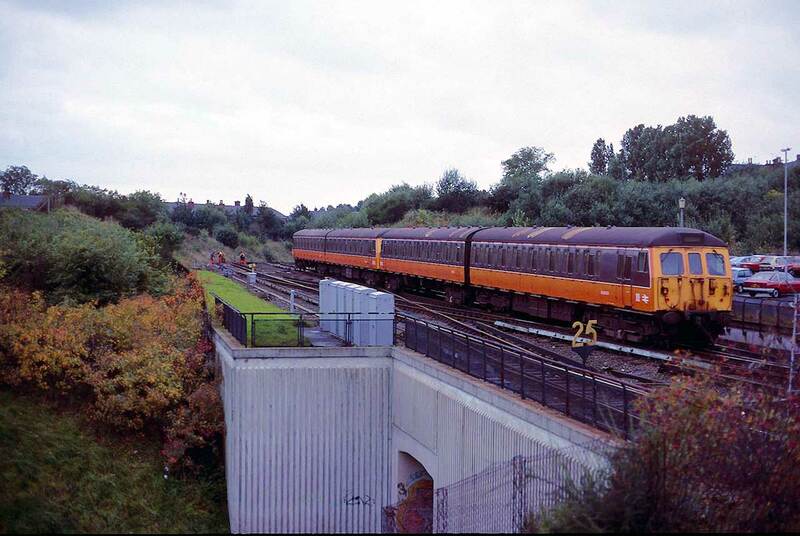 After a journey on a Euston to Watford train, we are at Kenton and another Watford train approaches the station. March 1979. After a short stop, the Class 501 departs for Watford. March 1979. As we exit the station the Class 501 departs for Watford. March 1979. Moving north we are at Bury and the maintenance shops for the Class 504 units that operate on the Manchester Victoria to Bury line. 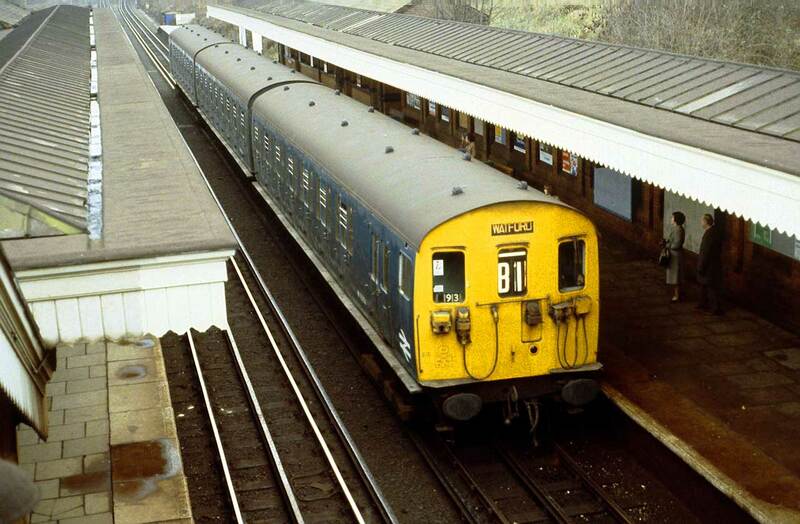 This is third rail powered but unlike Southern Region and Merseyside which have overrunning power collection, the Class 504 operates on 1200v on a side contact system. April 1978. Adjacent to the depot is a Class 504 Driving Trailer Second displaying the previous British Railways colour scheme. 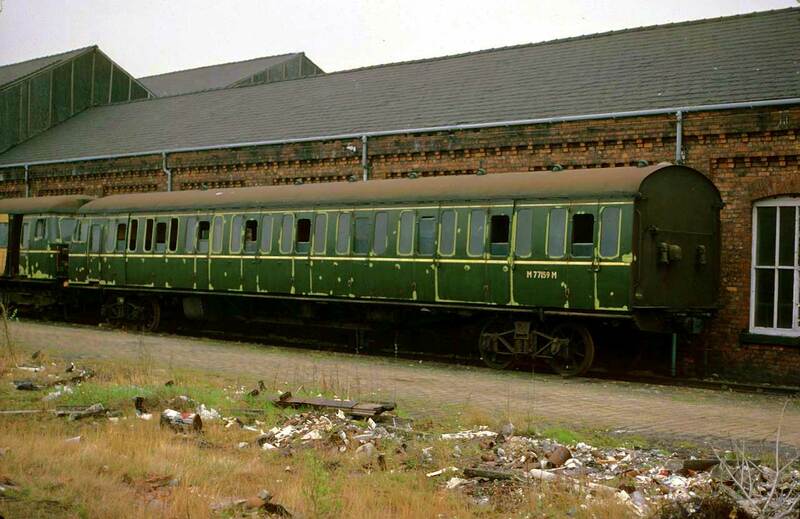 The bogies are not original running ones but for temporary use. April 1978. A Class 504 Motor Brake Second also in original colours, this time with the correct bogies. 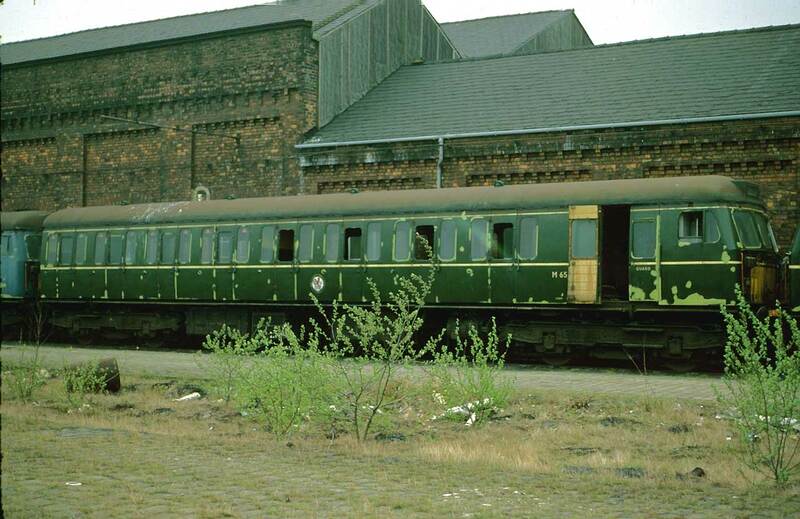 The maintenance building behind is still in use by the East Lancs Railway. April 1978. 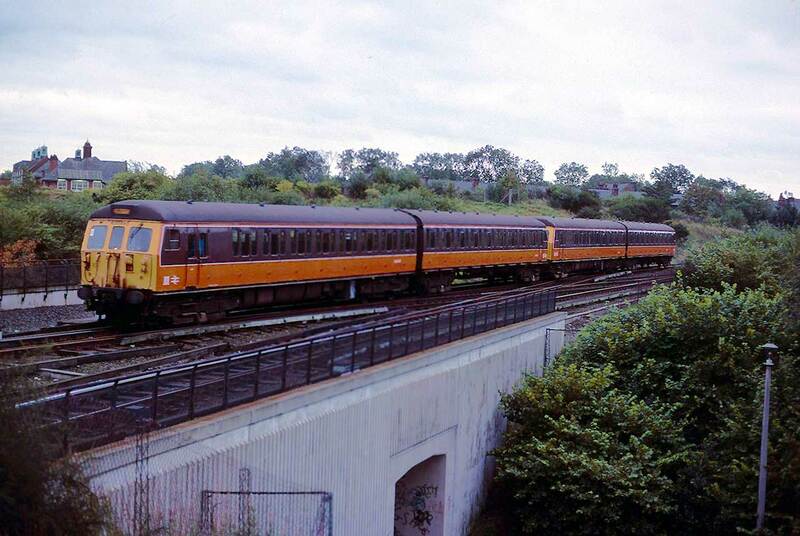 On now to October 1988 and we are just south of Bury Station as a pair of Class 504 units depart for Manchester Victoria. The Class 504 units are now in the colours of Greater Manchester Passenger Transport Executive. October 1988. 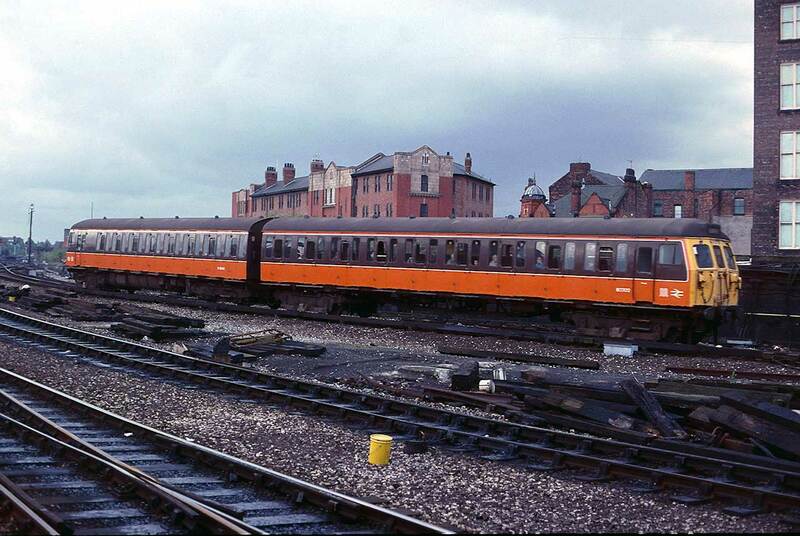 The other end of the line and a Class 504 arrives at Manchester Victoria. October 1988. The departure platforms for Bury at Manchester Victoria Station. 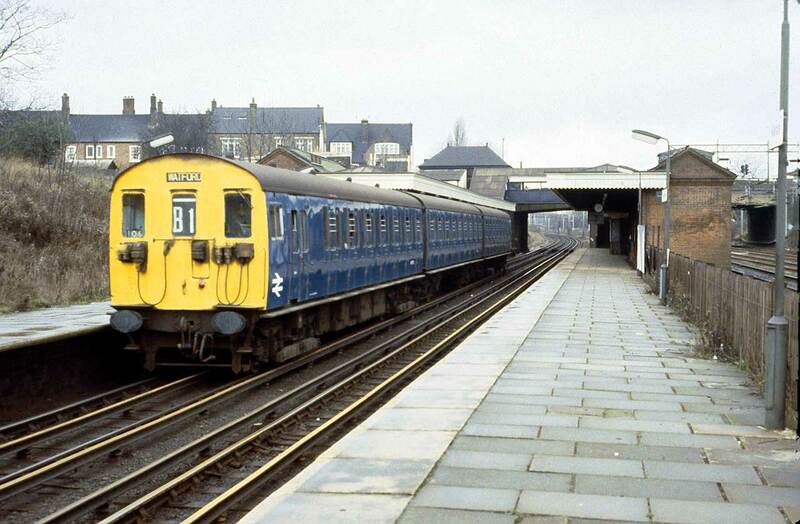 A service is still in operation but it has now been converted to an overhead powered light railway or tramway system. October 1988. 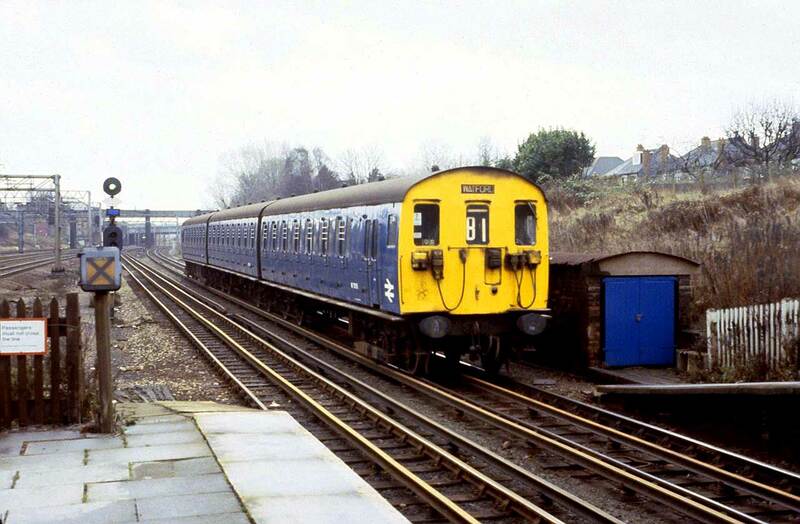 DC third rail powered units still operate on Merseyside. See the Merseyside Electrics page. 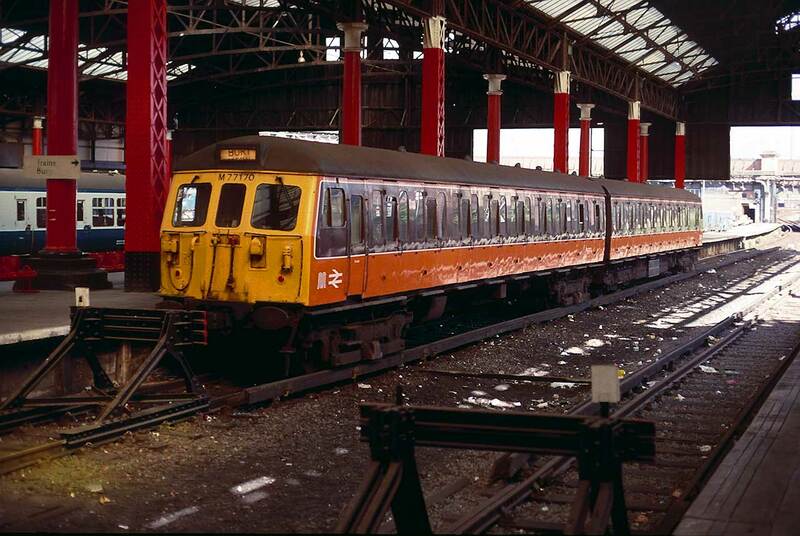 DC overhead powered electric multiple units once operated from Manchester Piccadilly. See the Pennine Electrics page.